Federal Environment Minister Tony Burke compromises the future of Ella Bay. The Coordinator General has determined the Ella Bay development can go ahead after 7 years of deliberation. 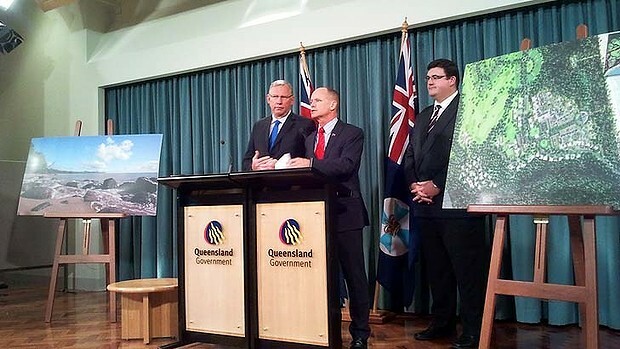 The massive proposed 'biggest tourist development in Queensland', is to be 'crammed' in the middle of a world heritage area. It is reminiscent of the good old days when the white shoe brigade of the 80's saw unbridled development expansion that gives no consideration to the natural environment it is in or replaces. The development proposes a whole new township of up to 5000 residents at the end of a bottleneck country road into a coastal lowland wilderness area. How the assessment process of a bilateral agreement between the federal and state governments works.